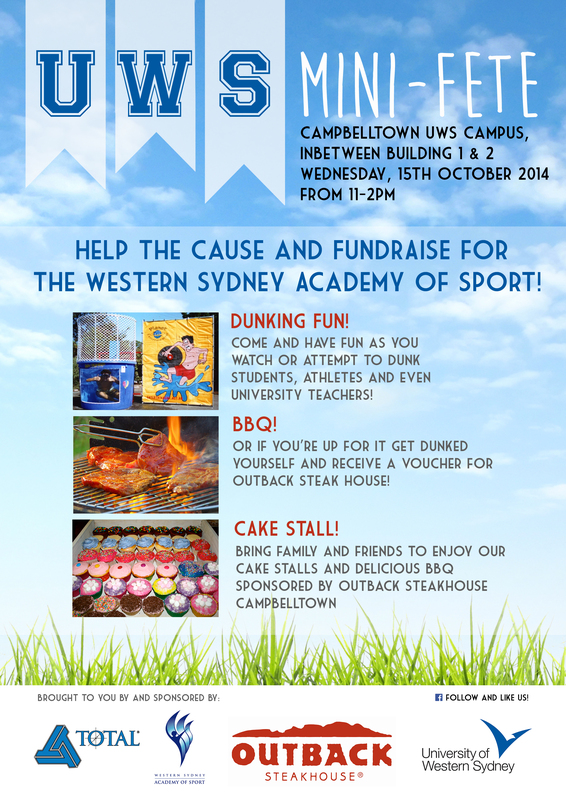 Help to fundraise at Campbelltown campus on the 15th October 2014 to participate in the university's mini fete run by the students. The day is scheduled to start at 11am in between buildings 1 & 2 (to the side of the library) with the motive to get students, friends, family and teachers together and raise funds for the Western Sydney Academy of Sport (WSAS). Entertainment will be provided by Sydney Dunk so make sure you bring a spare set of clothes and/or towel if you are brave enough to get dunked yourself!